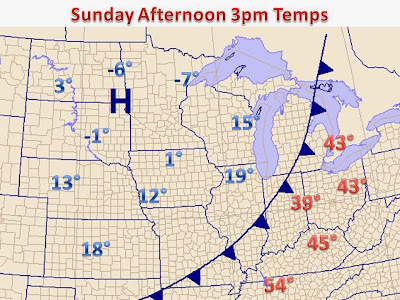 A cross country arctic blast is making its presence known this afternoon. The front has now made its way through much of the Midwest and will continue to press eastward. Behind the from you can expect winds to shift to more northwesterly direction. With a clear fetch to northern Canada, some of the coldest air on the continent will make its way south. With high pressure building, clear skies can be expected tonight, which will lead to a very cold night. Without a layer of clouds to acts as a blanket to the atmosphere, warm air will rise, and surface temperatures will fall below zero! Wind chill advisories have been issued for all of Wisconsin, Minnesota, much of Iowa and surrounding states (see map on right). 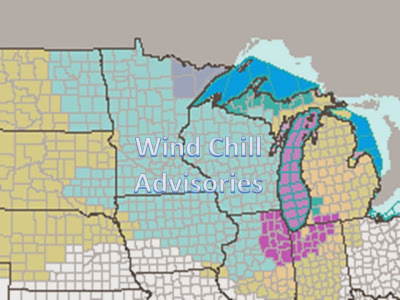 The combination of extreme cold and light winds, wind chill indices will plummet to 30-40-50 below zero. 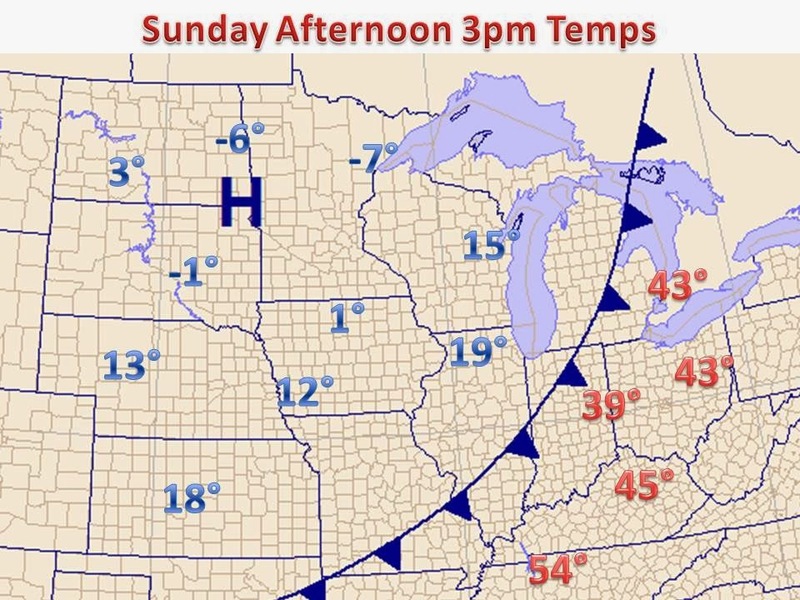 Along with the surge of cold air, an active pattern will set up across the Midwest this week. Look for a post on that later this evening when new data comes in.